Statistically, we are more likely to suffer from a critical illness during our working lives than to die. Without cover protection in place, the loss of income due to a critical illness could result in a serious financial strain on your loved ones. Could you continue to meet mortgage repayments? Would you be able to fund your family’s current lifestyle? Do you have sufficient savings to adapt to a new way of life? Critical illness cover (sometimes referred to as critical illness insurance) provides a lump sum pay out if you are diagnosed with a specified life-changing (but not terminal) illness, covered by your policy. Enjoying with your family, such as a holiday. You may want to read the Association of British Insurers (ABI) definition of critical illness insurance. Generally speaking, there are two types of critical illness; combined cover and standalone cover. Combined cover is when a critical illness element is added to a life insurance policy. The two must be taken out simultaneously and as a result, you only pay one monthly premium. Whilst this is usually cheaper compared with having two separate policies, it does mean that the policy will only pay out once. Therefore, if you make a claim when diagnosed with a critical illness, your policy will expire and you will be left without life insurance. A standalone policy, on the other hand, involves paying for a separate critical illness policy. This can run alongside life insurance cover or be your only layer of protection. Either way, if you are diagnosed with a critical illness, you can make a claim and any other forms of cover you have will remain intact. When determining how much critical illness cover you require, it is important to consider how much income you would need if you were no longer able to work. The cost of treatment, home adaptations and carers. This figure can then be used as a guide to determine the level of cover you require. Think about both the cover you require at present, but also the coverage you may need in the future, as your circumstances change. This will help future proof your critical illness cover. The cost of critical illness cover is based on the level of risk you pose to the provider. Therefore, for those who are older, smoke or have a less than favourable medical history, the cost of premiums will be higher. For this reason, it is essential to compare critical illness quotes to ensure you secure the best deal. At Reassured, our award-winning staff can do this on your behalf, saving you time and money. Taking out a joint critical illness policy allows you to cover two people simultaneously, whilst saving money each month. Taking out joint cover is cheaper than paying for two individual policies, however, it does expire after a claim has been made. This means that if one partner falls ill and makes a claim on the policy, a pay out will be made. However, the remaining partner will then be left with no cover. This could result in them having to obtain a new policy when older. As a result of the increased risk they now pose, they are likely to have to pay inflated premiums. Depending on the family history of both partners, detrimental health on one side could result in inflation of premiums, resulting in the other partner paying over the odds. In some instances, certain illnesses will be excluded from a critical illness policy if that condition has been present in the past. Due to various reasons, if both partners require critical illness and your budget allows, it is likely to be more beneficial to take out two individual policies. How long does critical illness cover last? Critical illness operates in a similar fashion to term-based life insurance; offering you protection for a specified period of time. This term is determined during the application process and is affected by your requirements for protection. Generally speaking, the longer you require cover, the more you will pay, as the chances of you making a claim during the policy term increase. When taking out critical illness cover you should consider the remaining length of your mortgage and how long others are likely to be dependent on you. The answers to these questions will help you to determine how long you require your critical illness cover. Ultimately, most critical illness insurers have an upper age limit to which they will provide cover; usually 70 years old. Therefore, you are unlikely to be able to secure a term which runs past your 70th birthday, as at this point the cover must cease. Critical illness cover provides a cash lump sum pay out for a serious, life-changing illness, which is not terminal. The illnesses specified can differ between insurers, therefore it is essential you are aware of exactly what conditions your policy provides cover for. Occasionally, critical illness will provide exclusions if you have disclosed certain medical conditions during the application. For example, a specific type of cancer may be excluded if there is a family history of its presence, meaning that if you are diagnosed with this condition, a pay out will not be made. As discussed, the specific illnesses covered within your policy can differ significantly depending on your policy and insurer. Typically heart attacks, strokes and some forms/stages of cancer are covered by critical illness cover. These are by far the most prevalent conditions which initiate a critical illness claim to be made. Critical illness pay outs occur upon diagnosis of a life-changing illness specified within the policy, as long as you survive a minimum of 14 days from diagnosis. Whilst most policies will pay out the full sum when a claim is made, some insurers will weight the pay out amount based on the severity of the illness. Meaning, that the more severely your life is affected or the further along the illness is, the higher the pay out sum you will receive. Generally speaking, both critical illness cover and life insurance can provide a tax-free lump sum. However, in order for this to be the case for life insurance, it is essential the policy is written in trust. Without undergoing this process, the pay out forms part of your estate. Thus, anything over the value of £325,000 is subject to 40% inheritance tax. With critical illness, however, no action is required to ensure the pay out is tax-free. Whether or not critical illness cover is worthwhile will depend on your individual circumstances. Do you have any savings you could fall back on? Whether you have the budget to pay the premiums each month. If your lifestyle is likely to be affected and/or you do not have enough savings to cater for the change in lifestyle a serious illness would bring, having critical illness cover in place is highly likely to be worthwhile. For those arranging their life insurance through Reassured, we offer an exclusive critical illness cover product called the ‘Big 3‘. This provides comprehensive protection for the three most common serious illnesses; heart attack, stroke and cancer. According to the insurer Aviva, these conditions make up more than 85% of all critical illness claims. 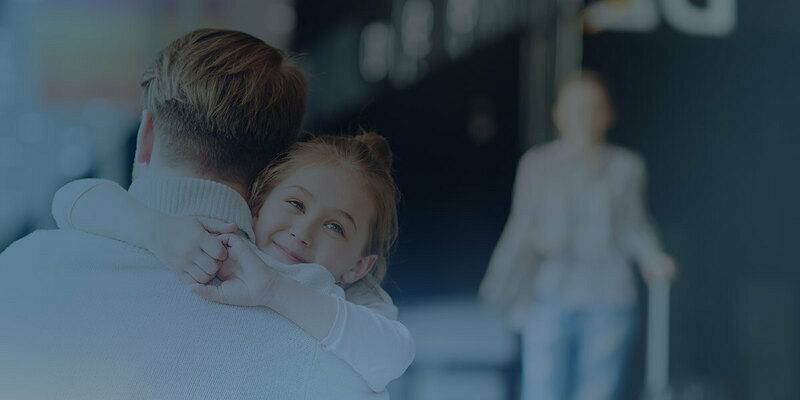 We use the life insurance application process to underwrite your cover, providing you with an immediate decision as to whether you have been accepted. Our Big 3 cover also offers your children protection, providing a tax-free lump sum upon diagnosis. However, our expiration age is 59 years old, as opposed to 70. Nowadays, most life insurance policies come with the option to add critical illness cover. This will increase the cost of your premium but will mean that if you are diagnosed with a critical illness you will receive a pay out. Whilst this extra layer of cover can help maintain your existing lifestyle, if you are diagnosed with a serious illness, it does mean that your cover expires. As a result, your loved ones will not receive an additional pay out upon your passing. Taking out a critical illness and a life insurance policy will provide you with two layers of protection, (and possibly two pay outs). Unfortunately, due to critical illness cover only being available until the age of 70, it is not possible to combine it with a whole of life insurance policy. Therefore, if this is the type of life insurance you require but also wish to have critical illness cover in place, you must have two separate policies in place. As previously mentioned, it is possible to obtain critical illness cover as a standalone policy. This will involve paying an additional premium on top of any other existing life cover you have. However, it does mean that if you make a claim, your life insurance will not simultaneously expire. Critical illness and income protection insurance are often confused, as they both serve the purpose of paying out if you are unable to work. However, the two are not the same. Critical illness pays out a one-off tax-free payment if you are diagnosed with a life-threatening illness and unable to work. Whereas, income protection insurance provides regular payments, equivalent to a percentage of your salary, to help with the loss of income whilst you are out of work. Income protection tends to pay out for a wider range of causes, including critical illness, minor illness, accidents and stress. Critical illness, on the other hand, only pays out on a life-changing illness but does not require you to be off work in order to make a claim. Typically income protection insurance is significantly more expensive than critical illness, is a far more complicated product and cover can differ dramatically between insurers. As with life insurance, it is unlikely to be beneficial to take out critical illness cover specifically for your children. If they were diagnosed with a serious illness, it is unlikely to result in any loss of income, (unless you were to take time off to care with them). With the large majority of adult critical illness policies, your children also receive a certain level of cover. If your child is diagnosed with a critical illness, you can make a claim on your policy. The amount you receive will often be capped, (usually at either £50,000 or 50% of the overall policy total) – although this will vary between insurers. This money can be used to replace a lost income whilst you take time off work or to pay for any necessary home adaptations. Making a claim if your child is diagnosed with a critical illness in some instances reduces the overall pay out. Cover for your children on your critical illness will usually remain in place until they reach the age of 18 or 21. One of the key uses of critical illness cover is to ensure you are still able to repay your mortgage if you were to fall seriously ill. The pay out sum is often set to cover the outstanding balance of a mortgage. If you are no longer able to work, you can make a claim and clear the mortgage, allowing your family to remain in the family home. Without such cover, you may struggle to meet the repayments, resulting in either possible repossession or relocation. This would obviously cause you and your family significant additional stress, at an already very difficult time. Like life insurance, the cost of your critical illness premiums are calculated based on the likelihood of a claim. Due to the health issues associated with smoking, those who smoke are likely to pay significantly higher premiums. To ensure you do not pay over the odds, it is best to compare multiple quotes to find the most cost-effective deal. Insurers class you as a smoker if you have smoked tobacco or used any nicotine replacement products within the past 12 months. As a result, it is likely you will still experience an inflated premium when taking out critical illness within this period. What is the difference between critical and terminal illness cover? It is a common misconception that the terms critical illness and terminal illness are interchangeable. Terminal illness cover tends to be included as standard with life insurance. It provides the option to make an early claim if you are diagnosed with an illness and given less than 12 months to live. Critical illness cover, on the other hand, comes at an additional cost, (either with your life insurance or as a standalone policy). It provides you with a tax-free lump sum pay out if you are diagnosed with a serious, yet not life-threatening, illness. Upon diagnosis of a critical illness specified within your policy, it is possible to make a claim. This process involves contacting your insurer who will have a team on hand to talk you through the process. If you have arranged your critical illness policy through Reassured, our customer services team can support you if required. The cost of critical illness and the illnesses covered can differ significantly between insurers. As a result, it is essential to compare quotes to ensure you are getting the best cover, at the most cost-effective price. At Reassured, our award-winning team can do this on your behalf, saving you both time and money. We can also explain any jargon you may not understand and help with the application process. What’s more, our FCA registered broker service is completed free to use. Simply get in touch today to arrange the best critical illness cover to meet your specific needs.